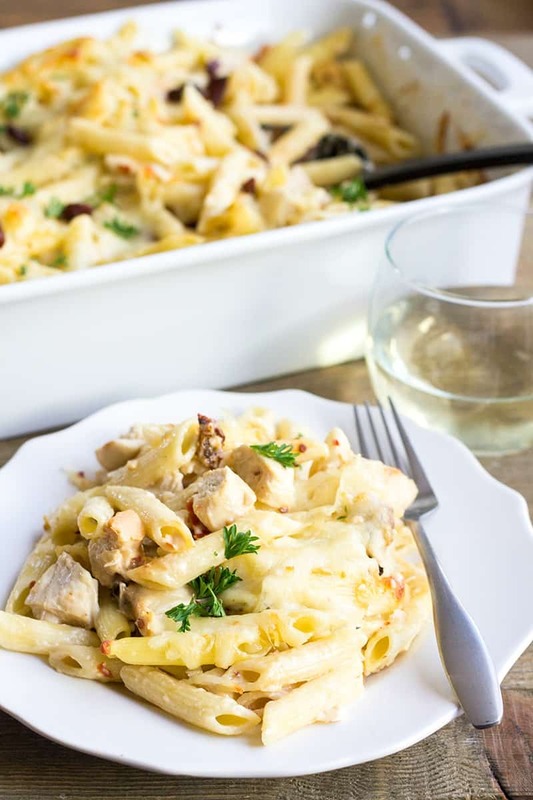 Chicken Glorioso Pasta Bake is a weeknight spin on my favorite Buca di Beppo dish! Loaded with flavor, this pasta recipe will be a hit with everyone! 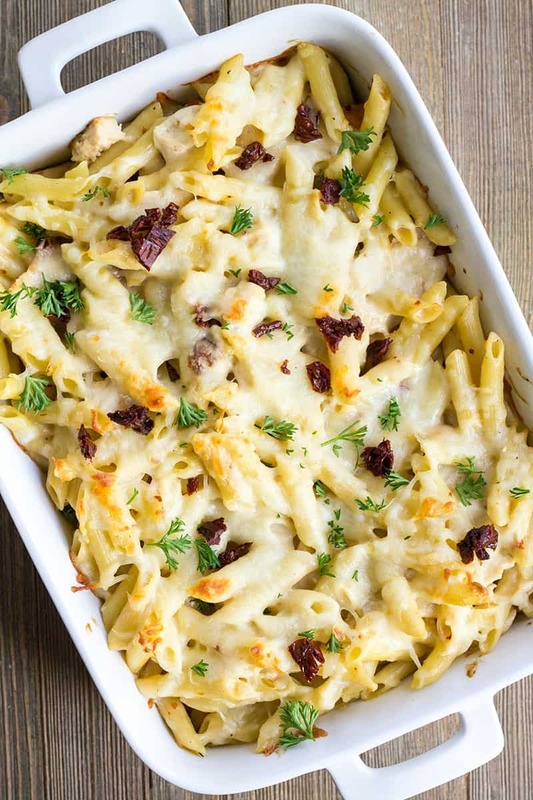 Chicken Glorioso Pasta Bake is a spin on one of my favorite recipes from Buca di Beppo. The original Chicken Glorioso cooks chicken breasts in white wine and is served with a spicy alfredo sauce and sun-dried tomatoes. The restaurant served this chicken by itself and let you order preferred pasta as a side, but I thought, “Why not mix everything together?” for an all-in-one pasta bake recipe. This baked pasta is crazy good and doesn’t taste boozy at all. It’s easy enough for weeknights, but fancy enough for company. It’s also big on presentation points if you garnish the top of the dish instead of mixing everything in. So what’s the deal with this recipe? I used to work at Buca di Beppo! I was there for about 9 months (I found out I was pregnant the week after starting there, go figure.) I loved the food and made a couple amazing friends there. We’ve gone back over the years for family birthdays and what not, but I’ve never forgotten the Chicken Glorioso. I first had this dish at family meal. For my non-industry readers, family meal is a pre-shift, mid-day, or post-shift meal the kitchen makes for all the staff to eat. It’s served family-style, so you grab a plate, load up, and have a quick meal while there’s a chance. The dishes made are usually off-menu or something the cooks whipped up…and they pretty much always taste amazing! Turns out Chicken Glorioso used to be on the Buca menu before I started working there. Since I can’t order it anymore, I decided to make my own version at home and I’m so glad I did! You can use any short pasta you like for this easy pasta bake recipe – penne, rigatoni, campanelle, etc. I’m kind of a wimp when it comes to spicy stuff, but the red pepper flakes add great flavor to this recipe and it’s really well balanced. If you’d like your sauce spicy, feel free to increase the amount of red pepper flakes to your liking. 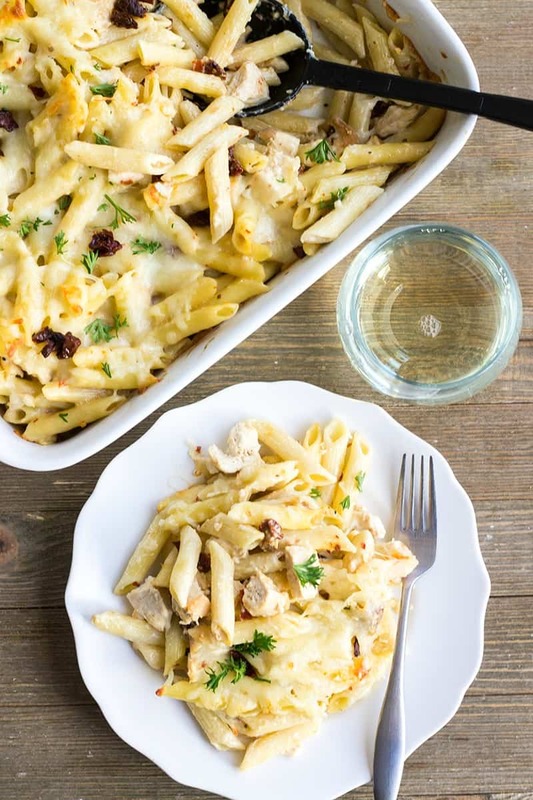 This chicken pasta bake is a great make-ahead dinner recipe. You can prep everything to the point of baking, even adding the cheese on top, and then cover the dish and pop it in the fridge. When you’re ready for dinner, uncover the pasta, and place the dish in the oven while it preheats. Once it’s all full temp, start your timer for 30 minutes. Warming the casserole dish along with the oven will keep it from cracking. Easy peasy, and SO delicious!! On a plate, stir together the flour and salt. Dredge the chicken in the flour to form a light coating on each piece. Place a large skillet over medium-high heat. Add 2 tablespoons olive oil. Cook the chicken until browned on each side, flipping once, about 2-3 minutes per side. Add the wine to the skillet and cook until the chicken reaches 165 degrees F.
While the chicken is cooking, heat a large pot of water to a boil. Add penne pasta and cook according to package directions until al dente. Drain, toss the pasta in olive oil to prevent sticking, and set aside. Remove the chicken from the skillet to a plate and set aside to cool. Once cool enough to handle, chop the chicken into bite-sized pieces. Reduce the heat to medium and add garlic, Alfredo sauce, red pepper flakes, and most of the sun-dried tomatoes to the skillet. (You want to save a few pieces to garnish the top of the pasta.) Stir to combine. Bring the sauce to a simmer, stirring occasionally. Cook for 2-3 minutes. Add the chicken and sauce to the pot with the pasta. Stir to combine. Transfer the pasta to a 9-inch by 13-inch baking dish and spread into an even layer. Top the pasta with mozzarella cheese. Bake for 25 minutes or until the cheese is melted and golden. Carefully remove from the oven. Garnish the pasta with chopped sun-dried tomatoes and parsley. Serve warm. If you're not worried about garnishing the top of the pasta, you can mix all the sun-dried tomatoes into the sauce and skip the parsley. I've done both. The alcohol in the wine will cook off while the pasta bakes and leaves the flavor behind. This pasta doesn't taste boozy. 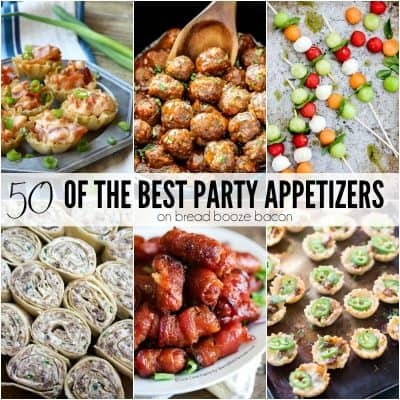 This post first appeared on Sunday Supper where I am a contributor.